Sorry, I nearly forgot! One day I took a trip out of Marrakech to see the Ourika Valley, a popular destination for tourists in search of the traditional Berber lifestyle. 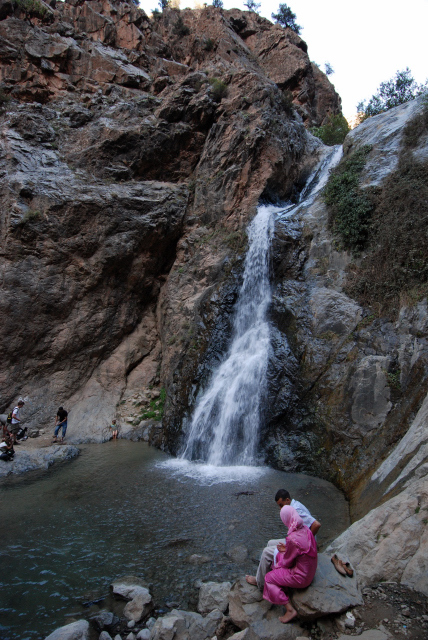 Located in the High Atlas mountain range just outside of Marrakech, tourists can see dramatic rock formations and waterfalls as you wander through Berber villages as they practice (and sell) their arts and crafts. And whilst not as persistent as the Marrakech Souk, you’ll probably still end up buying something as most tours seem to stop at stores along the way. It’s hard to imagine how I forgot to put these into my other ramblings about the trip, but now I remember. Or should I say, my stomach remembers. Madrid, the last stop on a two week excursion into Spain and Morocco. 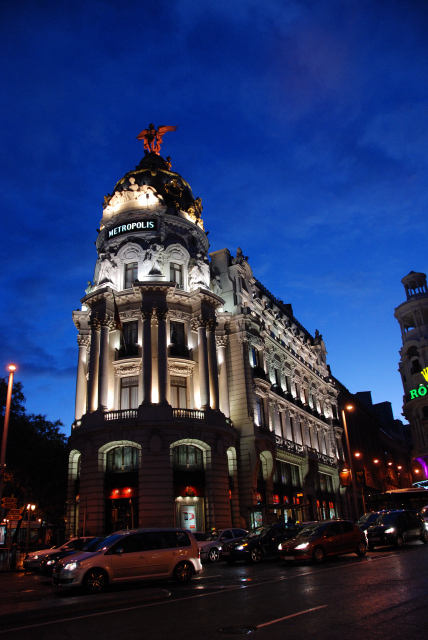 A truly beautiful city, Madrid is immediately recognised for being steeped in history as you walk from beautiful building after another along it’s pristine street-scapes. As a tourist, there was no shortage of things to do, be it the world famous Prado and Reina Sofia art galleries, or roaming through the Mercado de San Miguel for a plateful of fresh tapas. Or you can do as the Madrilenian’s do and spend a lazy afternoon in the Parque de el Retiro, sipping on a cerveza or lapping up an ice-cream. Or a little of both if you are like me. But like all good things they must end and so thus endeth the trip; it was a good end, a relaxing way to finish a fantastic vacation. I hope you have enjoyed the anecdotes and photos. Watch this space…Sweden next month! Back to Business. Casablanca. 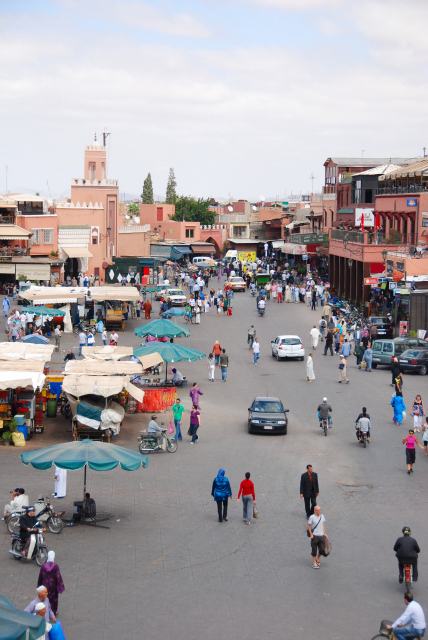 Compared to Marrakech, “Casa” is the “big city”, the economic engine-room and the more modern alternative. Cars rage through the streets. Men, women, and children dart across un-signalled roads in unrelenting mortal danger. Skyscrapers dominate the skyline. Hawkers are a bit slower to hassle the tourist. Restaurateurs and waiters are still more than willing to overcharge where they can. Trust me on this one. If a waiter says that something costs a certain amount, ask for a menu. When they say they don’t have a menu (and they do), consider walking away. I wish I could say this was not the common experience, but it was clear that tourists were commonly regarded as people to pinch a few extra dirhams from whenever possible. 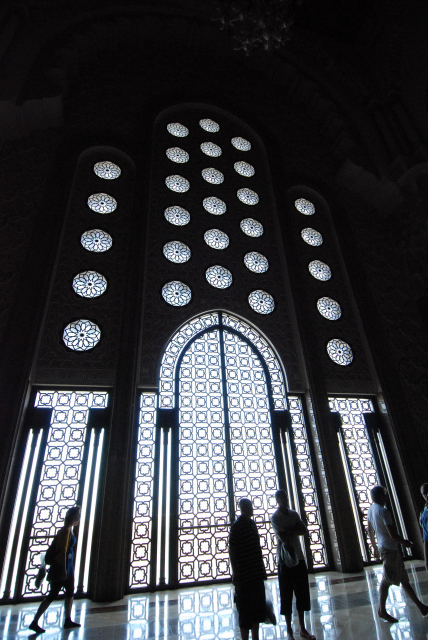 But, a trip to Casablanca isn’t complete without a trip to the amazing Hassan II Mosque. To be fair, there isn’t a lot else to see here (we went to the tourist office and left empty handed – unless you count a trip to the mall as a highlight) but the Hassan II trumps all of that. With the potential to house 25,000 worshippers (20,000 men on the floor and 5,000 women in the balconies), the mosque one of the largest in the world. Our tour guide told us that this made it the third “largest” in the world, but subsequent searching has yielded mixed results (2nd, 5th, and 7th respectively on various measures). In either case, it’s big. To wrap up our photo tour of Marrakech, I leave you with a small assortment of pseudo-random shots taken at various haunts around the city. I hope you enjoy looking at them as much as I enjoyed taking them. What is a souk? The short answer is that it is the Arabic name for a marketplace. But, to say it is merely a marketplace would be a lie. 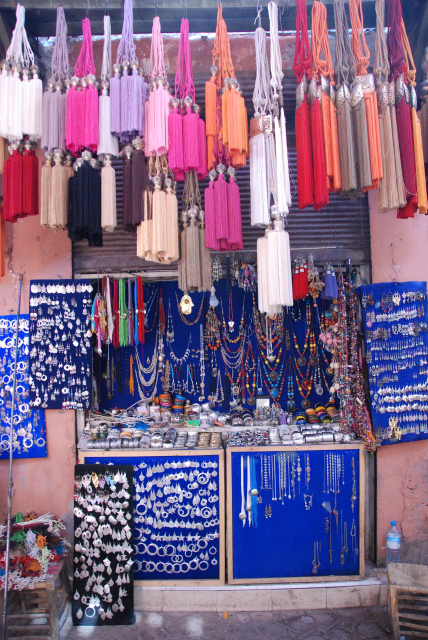 Case in point: the souk of Marrakech. The souk in the old medina of Marrakech is the largest in Morocco and, as the many shopkeepers would tell you, the best. Accessible from the Djemaa el Fna at any number of covered locations, it is little wonder there is some nervous tension. If you get lost in there, you better remember your high-school French so you can ask for directions back to the square! The souk itself is at least one square kilometre of labyrinthine streets, most parts of it covered by makeshift roves that span the adjacent buildings. Whilst this makes for cooler conditions inside the street mall, it does reinforce a feeling that you have suddenly entered another world. With no sun or sky overhead, you quickly lose track of time and space; entering the souk in the afternoon and leaving at night (if you managed to stay “directional”) is a surreal experience. We have arrived. Djemaa el Fna, the beating heart of the “Red City” seems to be the first stop for the vast majority of visitors to the medina, and it is little wonder why. With snake charmers, monkey men, henna artists and dudes with spinning hats, the opportunities for the naive to be swindled are great and plentiful. That isn’t to say that this is all that happens in the square! Of course not! Markets and shops line the perimeter. Men sell fresh orange juice from covered wagons. A gentleman walks around with a car battery connected to a stereo and cells CDs as he serenades the denizens with the local top 20. If every city has a kind of spirit by which it is regarded, we had undoubtedly found this city’s soul. But this is the story of a tourist and as tourist stories go they tend to be superficial and throw you straight into the shoes of a singular experience, and will not be indicative of all. And now the adventure really begins. Spain long behind me, I have entered the realm of Morocco and with it comes the true meaning of travel and a true exploration of something new and unknown. A place where reading about it in your specialist guide book just wont quite cut it and the traveller must be prepared for anything. First stop, Marrakech! 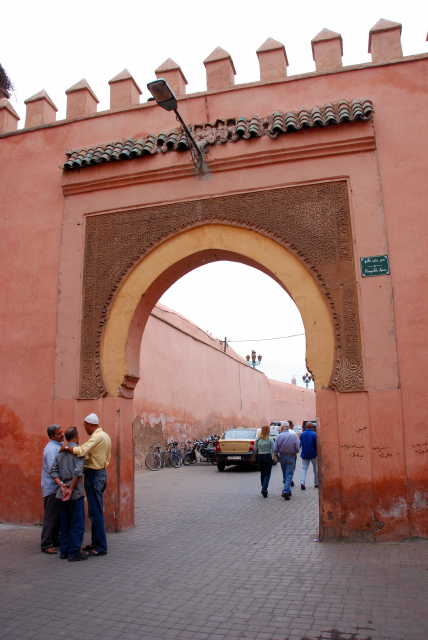 Centrally located at the foothills of the atlas mountain range, Marrakech assaults the traveller with the old medina as well as the many sights and sounds of the souks and roadside stalls. On first arrival, I expected something quieter. But, as I get buzzed repeatedly by moped after moped as I attempt to cross the comparatively chaotic streets, I realise that I must be on my guard! There are no crosswalks here, and certainly no pedestrian signals in this Darwinian system. Soon I realised the trick. Latch onto a local, close your eyes, and jump. Costa Brava, located in the region of northeastern Catalonia, is just a few hours drive from Barcelona. Here, I merely enjoy the food, wine, and beaches that this beautiful region has to offer.